Escape into the serenity of Sicily’s beautiful Isole with Aeolian Islands boat rental. Away from the chaos of monotonous life, enjoy a peaceful tour of 8 destinations of Aeolian Islands. This volcanic chain of islands brings to you nature’s soothing retreat. Thus, people who love sea adventures can sail through along the coastline of Tyrrhenian Sea and admire a history that goes back to 260,000 years. This place is perfect for travelers wanting to dive through natural tranquility of active volcanoes. And boat rental services ensure that you can make best memories out of your visit to this Sicilian paradise. Interesting visiting spots: Let’s plan the trip! Home to two active volcanoes Stromboli & Vulcano, the seven island chains also include Lipari, Panarea, Filicudi, Alicudi, and Salina. You can avail the Aeolian Islands boat rental to cover famous spots of these island retreats. Start with Lipari, where you can anchor your vessel and watch the blue hues from most visited viewpoint, Quattrocchi. Also, Lipari attracts tourists at Cattedrale di San Bartolomeo and Museo Archeologico Regionale Eoliano. While Panarea welcomes you to Cala Junco, Salina, Filicudi and Alicudi have their own attractions to boast. Once you have spent your day walking through the offerings of these Islands, your yacht awaits you for a relaxing night and star gazing on the deck. Besides, take a royal spa, or dine with your friends or smell the night fragrance of the sea onboard, indulging in many facilities that your yacht offers. Are you planning a tour to spend some cherishing family time? Then Catamarans from boat rental services Aeolian Islands should be your choice. In-room facilities and personal chefs can very well cater to your onboard needs. Thus, spending quality time with family and touring around the island chains becomes easy within a range of €450 to €550. Sailboats idle for languid voyages around Mediterranean, sea adventurers can spend their time to admire the calm waters and engage in some water activities. A smooth sailing on Aeolian Islands boat rental ensures you can explore the pristine spots bit by bit and yet enjoy the sea’s sweet aura. Starting at an affordable range of €900, the sailboats are suitable for much comfortable rides. Charter the motor boats for spending time with your close friends. The fast speed matches up with your excitement for an adventure. And you can cut through the waves within a charter range of €2000 to €3000. These islands are stunning but are mainly coves, outcroppings or tiny islands which are best explored by boats. Instead of bigger ferries, take smaller boats. However, you must try to reserve your boat rental before they get booked out. There are many things that you get with boat rental services Aeolian Islands. Anchor on the shore and you can walk down the lanes of the Aeolian Islands for some mouthwatering local foods. When you come back to your yacht, your chef has already prepared Sicilian delights mixed with authentic flavours for your fine dining. And what’s a dinner without some wine? Taste the aroma of best Italian wine on board to relax and relish your sailing adventure. When should you visit these 8 splendid jewels of the world? Travellers in search of the combination of sea and sun should set sail in the summer months when the western coast of Sicily offers a beautiful morning hue. Also, during this period, the waters remain crowded. And for less crowded waters, plan your trip during spring and early Autumn. Officially, the season starts from 1st June and continues till 31st August. Early April till late September is also an excellent time to sail. So, what’s the wait for? Book your Aeolian Islands boat rental before your favorite vessel gets booked. Enjoy the best vacation this year! 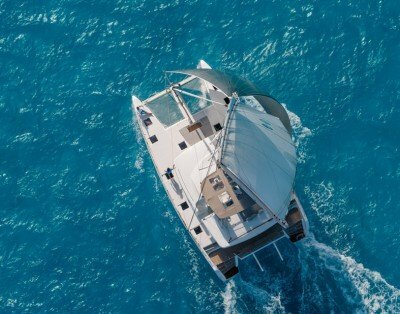 Sicilyboarentals.com is committed to delivering a high level of expertise, customer service, and attention to detail to the market of boat charter booking . We built the most featured Sicily Boat Portal. Test and convince yourself to get more bookings.